Beyers Construction has extensive experience with Horizontal Grinders like the Bandit Model 4680T. 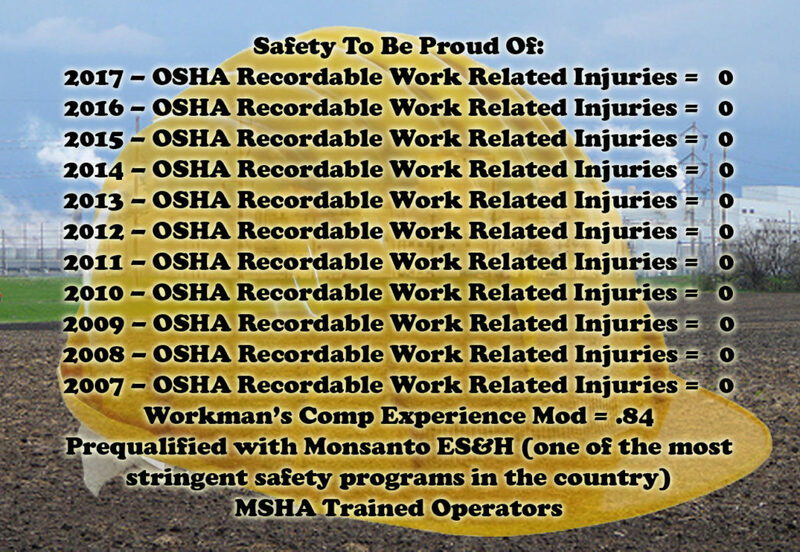 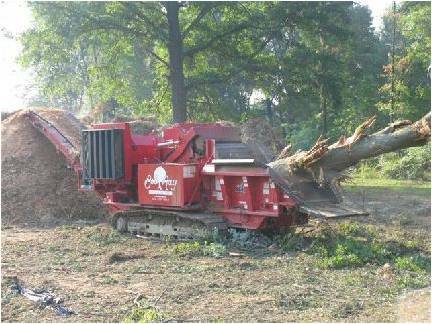 It provides an efficient method of disposing of whole hardwood trees and stumps in municipalities that prohibit burning of yard waste. 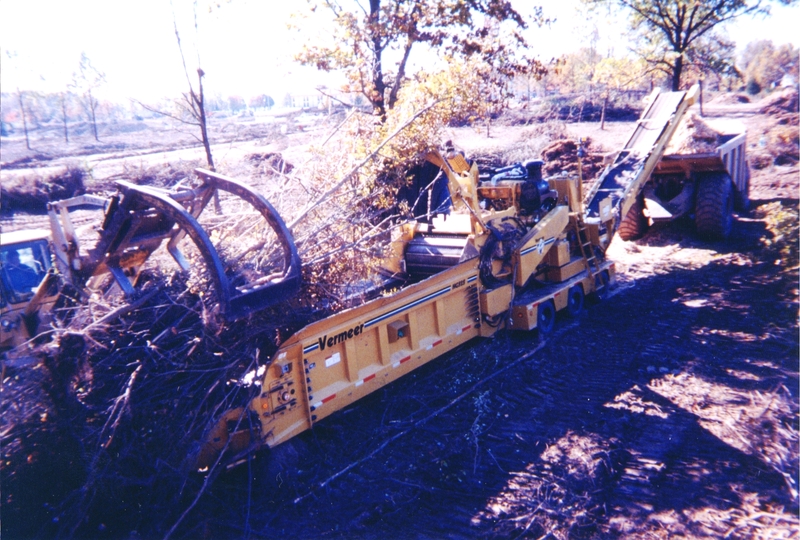 A less expensive alternative to transporting trees and stumps to recycle centers. 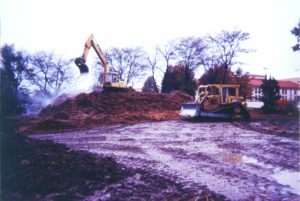 Recycling concrete demo material on-site can reduce aggregate costs and eliminate transportation of waste to recycle center or landfill. Beyers Construction has implemented Nordberg Model LT1213 Mobile Crushing Plant in order to reduce costs on such projects as, Monsanto Seed Plant in Farmer City, and can do the same on your project. 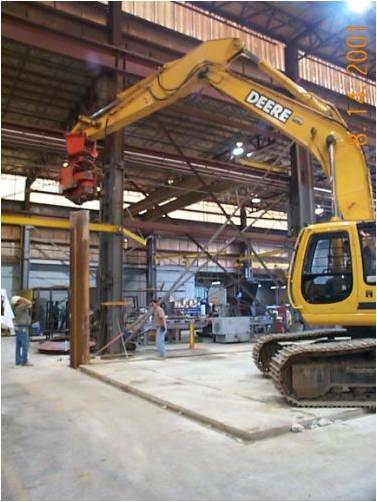 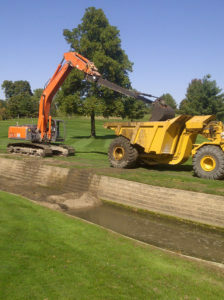 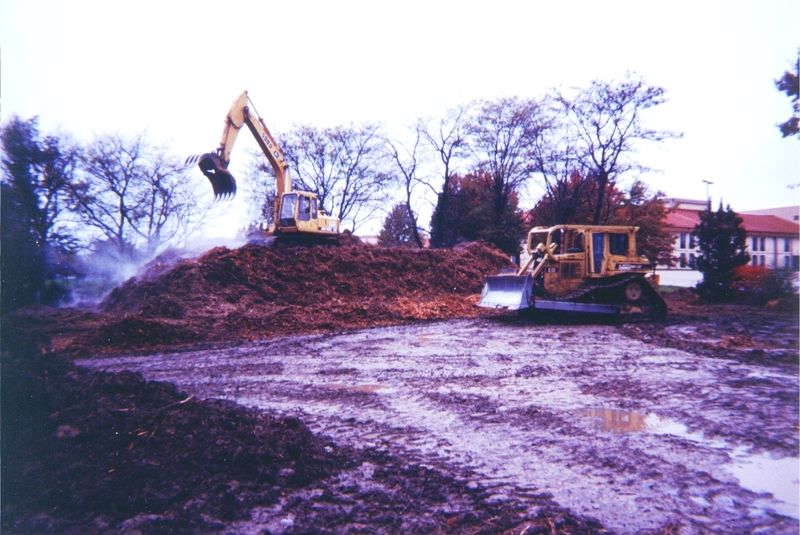 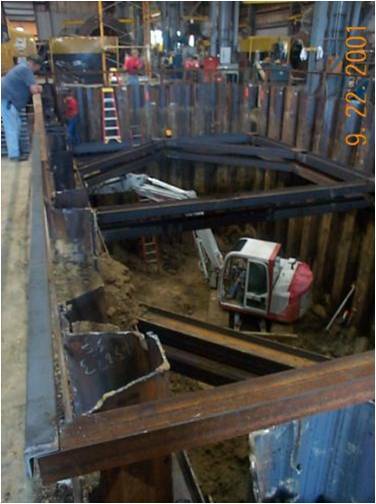 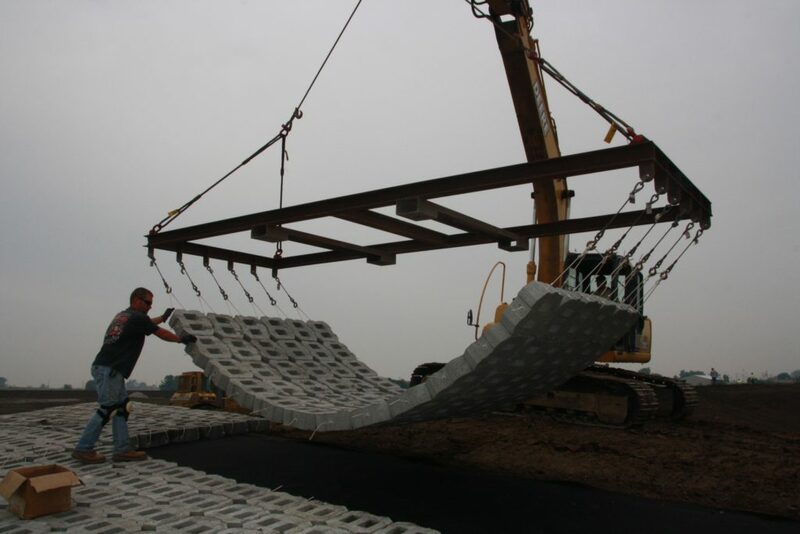 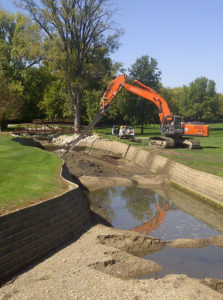 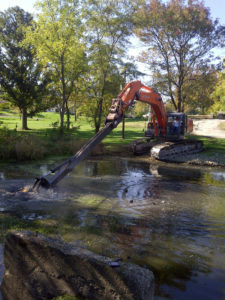 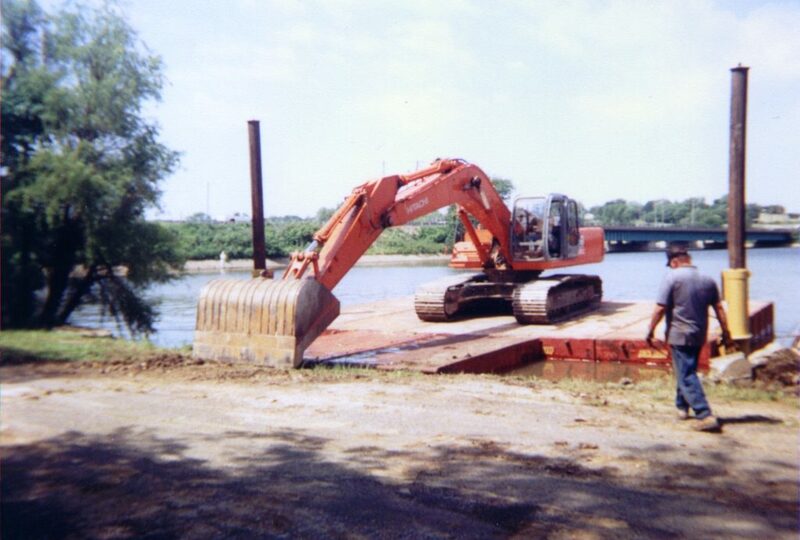 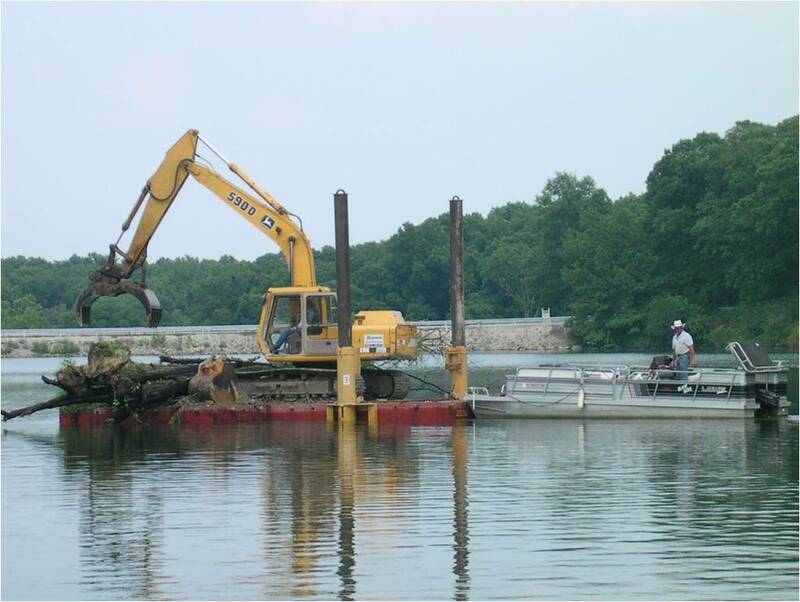 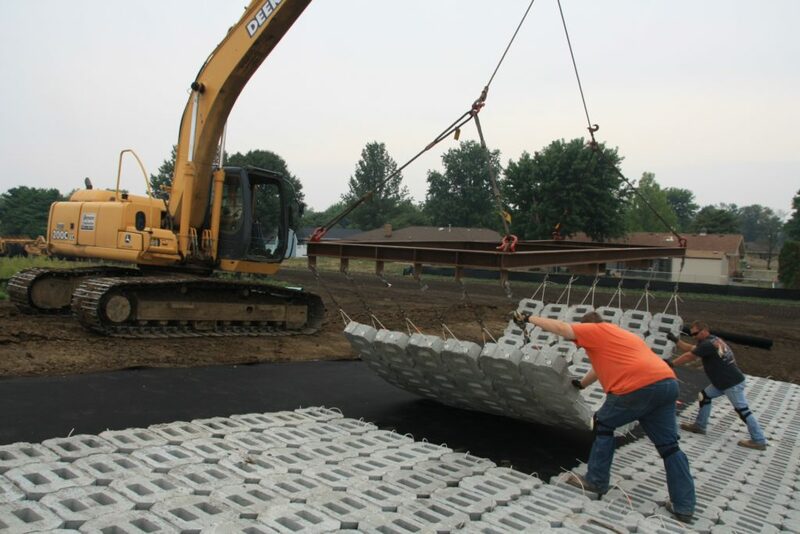 The ability to increase excavator reach up to 50 feet has allowed Beyers Construction to increase productivity in areas such as marine work, ditch, pond and lagoon cleaning, and lake shore access. 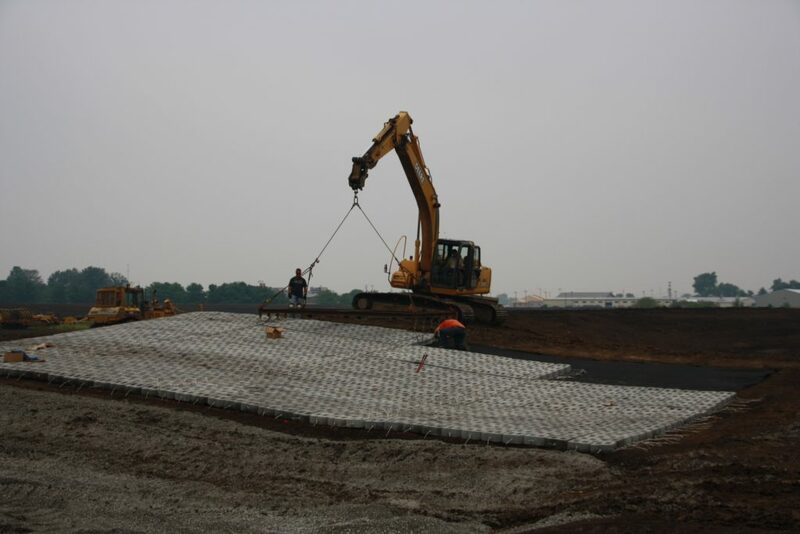 Complete line of Low-Ground Pressure Equipment to assure that wet or unstable soil conditions won’t hold up your schedule.